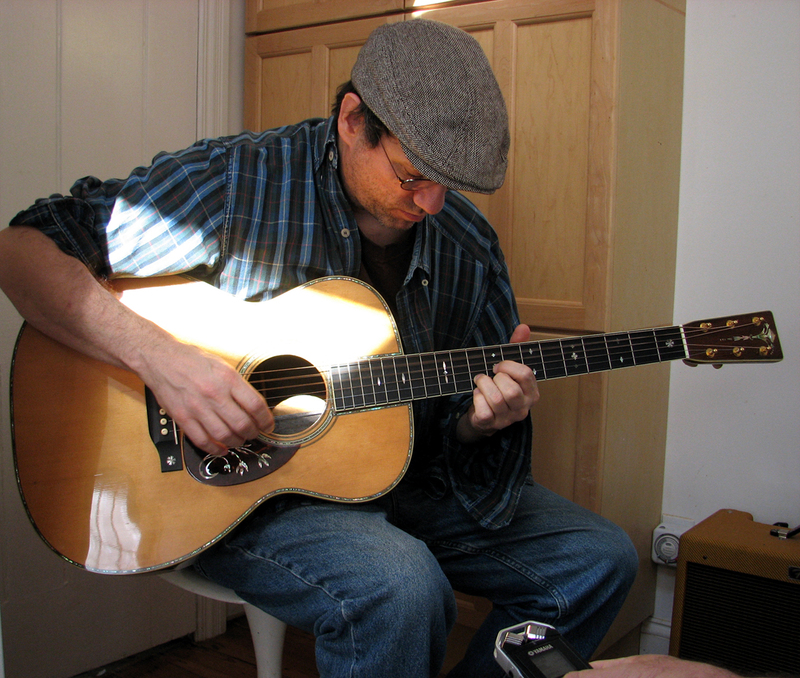 The Martin OM represents an historic watershed is the history of the acoustic guitar. Before the Orchestra Model, the only guitars offered by Martin were different sizes of the same 12-fret design codified by the company’s founder in the 1840s. These instruments were similar to modern classical guitars in shape and tone, although most had been converted from gut strings to steel by the end of the 1920s. The OM took things to a whole new level. These innovative Martins were called Orchestra Models to entice musicians playing in the ubiquitous dance orchestras of the day. The banjo that had been their primary rhythm instrument for decades was slowly being replaced by the more-resonant steel string guitars. In 1929, the popular bandleader Perry Bechtel wrote with a special order for a Martin guitar with steel strings and a longer, narrower neck, having returned his new Gibson L5 archtop guitar because he didn’t care for its tone. When Mr. Martin granted the request, his shop foreman, John Deichman, ended up inventing the first 14-fret flattop acoustic guitar designed from the ground up for steel strings. It introduced the world to what became one of the most copied and recognizable guitar designs ever seen. With a new shape based on their largest body size, the 000, Martin tweaked the overall design of Bechtel’s special order to create a new model for general distribution. 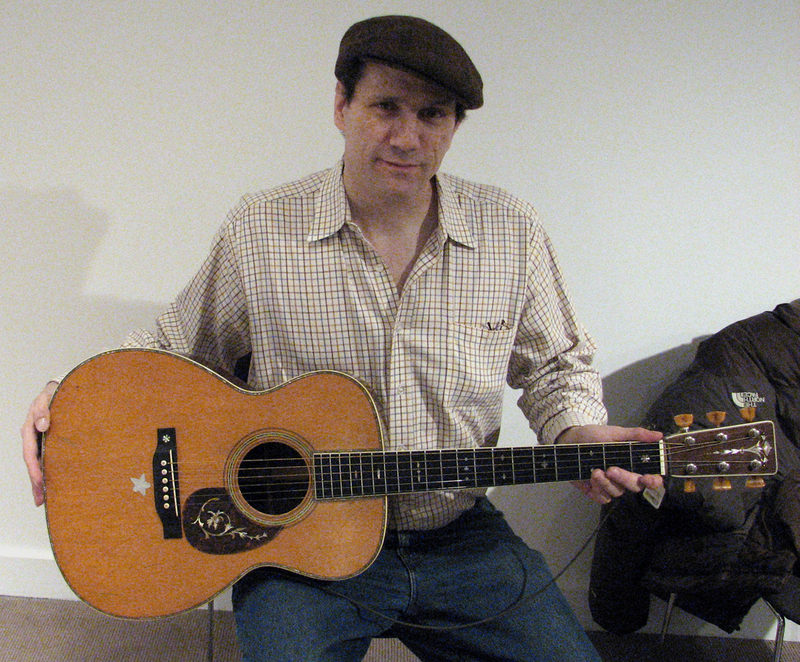 Some half dozen were produced in 1929, before it debuted in the 1930 Martin catalog under the name OM-28. The innovative OM was offered in Styles 18, 28, and 45, as well as an opulent handful in 45 De Luxe. Although it failed to entice many orchestra banjoists, it was embraced by singing stars heard on the phenomenal new sensation of radio, because the clarity and projection of the revolutionary design allowed their strumming to cut through an ensemble of backing musicians, as they performed before a single microphone. In later years, the heavy-handed fingerpickers of ragtime and traditional blues championed the original OMs, until the deft masters of modern fingerstyle rediscovered the sensitive dynamics and subtle tonal properties unique to these splendid musical instruments. The OM’s success was due to the long-scale neck sending extra tension from the steel strings to bear upon a spruce soundboard of just the right size that was lightly braces with narrow 1/4″ tone bars and a 5-1/16″ X-brace. This combination of features produced a dynamic voice of maximized resonance and projection. The design proved so successful that Martin offered 14-fret versions in all their popular sizes, starting in 1934 – including the recently released dreadnought size, which became the most popular guitar design in history. The OMs that started it all were rechristened “000,” which allowed Martin to return to its usual naming conventions. But the specs were also revamped that same year to include the short-scale neck employed by the 0 and 00 sizes, in combination with heavier 5/16” bracing throughout, as used on the larger dreadnoughts. Without knowing it, Martin’s changes affected the sound of the guitars to the point that the original OM-stamped guitars became some of the most sought-after Martins ever built, but their small production numbers would also make them hard to come by. Rarer still, the 14-fret guitars stamped 000 from the first months of 1934 are identical to a 1933 OM, and are among the most collectible Martins. 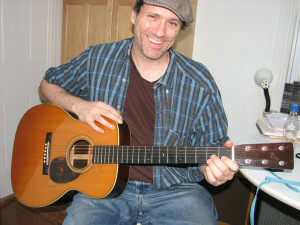 Starting in 1934, any 14-fret Martin guitar was an “orchestra model.” In fact, the 1934 Martin catalog lists the new 14-fret dreadnought as “Orchestra Model, Size D.” The traditional 12-fret Martins were referred to as “standard models” and eventually they were given an S on the model stamp, as in 000-28S. But to guitarists in the know, the term OM would always mean those rarefied 14-fret Martins sold during the first years of the 1930s. In 1969, a guitar shop in Pittsburgh, PA convinced Martin to make a small batch of OMs. It seems to have gone unnoticed that this occurred during the 40th anniversary of the original Perry Bechtel order. Although not exactly like the old OMs, the new version differed in important ways from the contemporary 000s, which had a narrow 1-11/16” neck, a larger bridge plate, and non-scalloped braces, as did all 14-fret Martins at this time. Quarter-inch bracing had appeared on a long-scale Martin in 1966, with the introduction of the D-35, with the goal of a more vintage-like resonance. The modern OMs were given 1/4″ bracing for the same reason, but they also got scalloped braces to make the top as flexible as possible. While many other models received scalloped bracing over the following decades, none got bracing exactly like that used on 30s Martins until the Authentic Series. Martin continued to release OMs in limited batches, until 1990, when they returned the OM-28 and OM-45 to the catalog. These guitars had the same look and body size of the corresponding 000s, but differed in ways that made them popular with fingerstyle guitarists. You can read more about the evolution of these two similar Martin designs HERE. Thus, the Martin OM has come full circle, spawning countless imitations and replications enjoyed by millions of guitarists and their audiences around the globe. Thank you for your detailed and wonderful review of the OM-28 authentic 1931. And also the history of the OM model. I have one on order and it should be the first in Australia. I really enjoy and look forward to your concise guitar reviews. Thank you Mr. McCarthy, for the very kind words. You are clearly a man of vision and confident action. And of good taste, if I may venture to be so bold. Congratulations on your purchase. You will not be disappointment!